Expert advice on buying the best manufactured gas fireplace, including direct-vent gas fireplaces, vent-free fireplaces, and more. 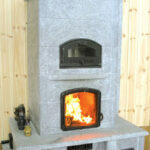 Gas fireplace presents a very realistic fire and efficient heating. They are prefabricated from metal and designed to be installed in wood-frame construction without a foundation. A big difference between these and any other fireplace? They don’t have a conventional chimney. Direct-vent gas-burning manufactured fireplaces burn so efficiently that they can be vented directly out a wall. This means they’re much easier and less expensive to install than masonry units and you have much greater flexibility in their placement. Because they are gas-fired, these units address the serious problem of wood-smoke pollution that grew to crisis proportions in some regions a couple of decades ago. Unlike wood-burners, these gas fireplaces give off virtually no particulates. Like all gas-burning fireplaces, direct-vent gas fireplaces are much easier to use than wood-burning units because you don’t have to buy, haul, chop, start, and continually feed wood to the fire. And you don’t have to scoop out the ashes or sweep the chimney. With gas, you just turn on the fire with a knob, a switch or even a remote control. Or you can let a thermostat do the job. When in use, a gas fireplace only costs pennies per hour to operate. Of course, all gas-burning manufactured fireplaces have artificial fireplace logs, so the big question is: Does the fire look like a wood fire? The only way to set your mind to rest on this issue is to visit a couple of dealers and see the logs burning firsthand. You’re likely to discover that, although early gas fireplaces had phony-looking fires, new burners and artificial logs are surprisingly realistic. Many produce a very authentic fire with tall, dancing flames and have logs and embers that glow. And, to heighten the effect, you can even buy incense that imitates the aroma of a wood fire. 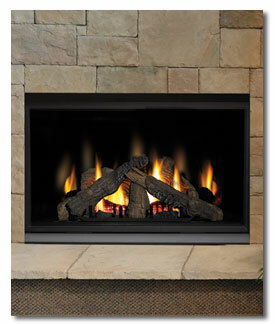 Gas-fired fireplace insert offers efficiency and ease of use. When shopping for a new manufactured gas fireplace, be sure it is lab-certified by an organization that is compliant with your local codes, such as the American Gas Association (AGA). Also make sure that the fireplace installers do their work in accordance with the manufacturer’s directions. If you intend to put it in a bedroom, a mobile home, or at a relatively high elevation, be sure it’s approved for that usage. 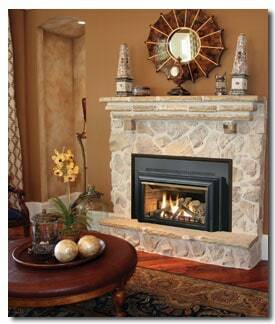 Prices for direct-vent manufactured gas fireplaces, of course, vary widely, depending upon size, style, finish, and other options. You’ll find they start at about $450—a small price to pay for the value, comfort, and enjoyment a new fireplace will bring your family. 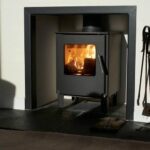 Gas fireplaces come in all shapes and sizes. This three-sided “cyclone” accents the end of a bar. Standard one-sided direct-vent gas fireplaces are the norm, but you can buy two-sided, three-sided (peninsula), and four-sided (island) styles, as well as bay-window shapes and corner units. 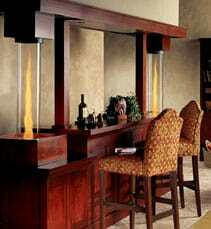 Heat-N-Glo even makes a three-sided Pier Bar unit that can go at the end of a bar. Sizes vary. You’ll find units from about 30 to 48 inches wide and about 24 to 30 inches high. Direct-vent fireplaces are typically quite shallow—from 13 to 18 inches deep. Nearly all manufacturers make both top- and rear-venting models. Top-venting types work well where the flue doesn’t have a straight shot out a wall. 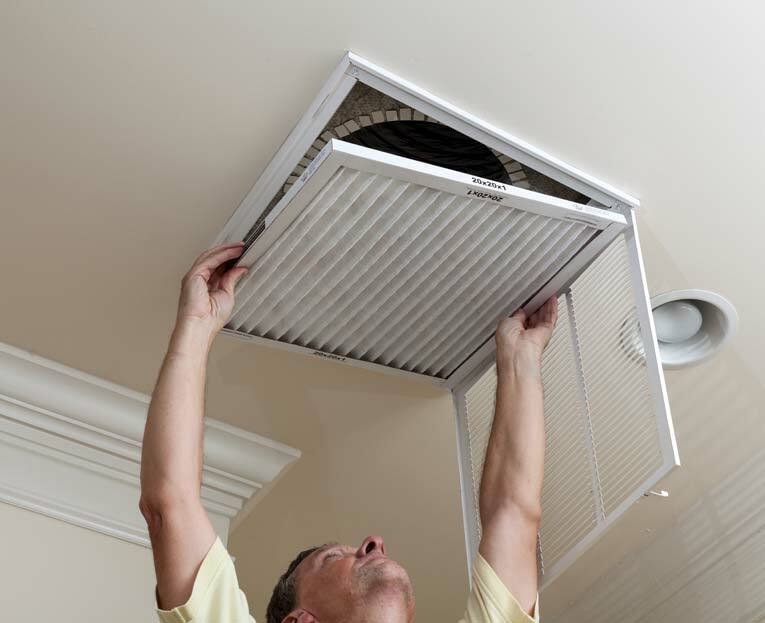 Depending upon the model, vents may run vertically or horizontally for quite a distance—up to 25 feet or more. Gas-fired fireplaces, like other gas appliances, are measured by their “Btu”-per-hour input or output capacity, depending upon the manufacturer. A Btu (British thermal unit) is equal to the amount of heat required to raise one pound of water 1 degree Fahrenheit. 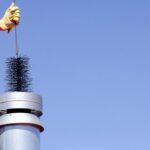 Input capacity refers to the amount of gas burned without taking into consideration the percentage of heat lost through the flue. Output capacity refers to the total usable heat generated. Most manufacturers use the input capacity figure because it’s always larger than the output. If you’re concerned about how much heat a fireplace will generate, the output figure is the one that’s important. If you want to know how efficiently it will use its fuel, figure the Steady State Efficiency rating by dividing the output rate by the input rate. Input ratings vary, and some units have a range, depending upon the flame’s setting. If supplemental heat is important, choose a model with plenty of output. The Mendota DXV fireplace, for example, has a thermostatically controlled, variable two-level burner that can deliver from 25,000 to 40,000 Btus per hour with 75 percent efficiency. Controls and options for direct-vent fireplaces vary from one manufacturer to the next. With some models of direct-vent fireplaces, a standing safety pilot light burns continuously so it can light the main burner whenever gas goes on. Other models have electric spark ignition to save energy or a piezoelectric ignition, often chosen when there isn’t an electrical hookup at the fireplace. Some of these types use a millivolt generator so the fireplace can work even if the power goes out. But if the pilot isn’t lit, the main gas valve won’t open. In fact, Blaze King’s Split Second(tm) Safety System shuts off the gas within one second if the pilot light goes out. You can use a wall switch, a thermostat, or a remote control to operate many types of direct-vent systems. In addition, some remote controls have adjustable thermostats, blower-speed controls, and flame-height adjustments. Other options for direct-vent fireplaces include variable-speed fans to boost circulation, special trim kits, propane gas conversion kits, decorative screens, firebrick-style fireboxes, and more. In some parts of the country, codes allow the use of vent-free gas fireplaces. Vent-free or “no-vent” gas fireplaces, made by several manufacturers, have an oxygen-depletion sensor to shut off the gas if the oxygen level ever drops below a preset level. In addition, their burners produce only very low levels of carbon monoxide. Because they recirculate all their heat into the room, no-vent gas fireplaces have very high efficiency ratings. On the downside, they have a much smaller and less realistic fire than other fireplaces. 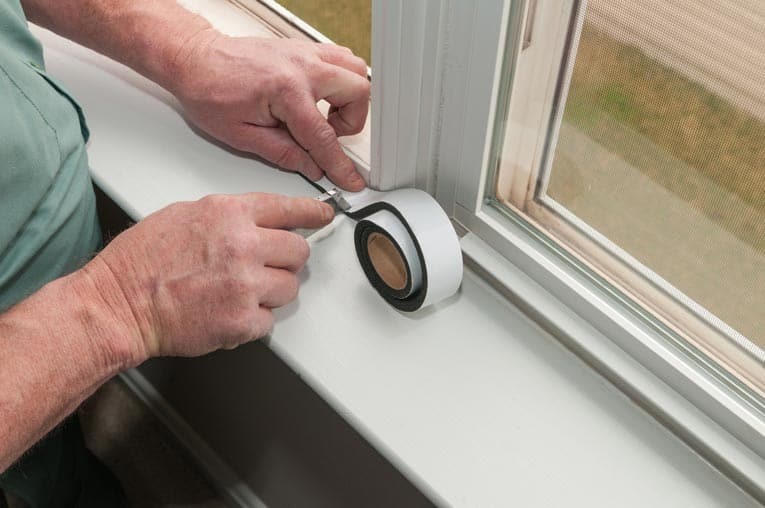 In addition, product directions usually require you to leave a window slightly open during use—noteworthy in the quest of making a room cozy. Regardless of the type of fireplace you install, also install a combination smoke and carbon monoxide detector to keep your family safe. Direct-vent fireplaces burn natural gas or propane, not wood. But direct-vent models are different from conventional gas-fired fireplaces, which require a through-the-roof Class B flue to carry away hot combustion gases. Direct-vent fireplaces burn efficiently, extracting most of their heat from combustion gases and sealing the combustion off from interior rooms. A direct-vent model has a glass door that is securely sealed to prevent leaks of combustion products into the room. Air to feed the flame enters from outside, and the relatively cool combustion gases are exhausted through the wall-mounted vent (if you prefer, you can also vent them through a roof). Most of these units have passageways that direct room air around the firebox/heat exchanger and then return it to the room. Some come with fans to boost this circulation; with others, fans are an option.